Description: We invite people of all ages and talents to bring a work of their creation and swap for a work in our collection. Greenway! I love using it and I love seeing bikers, walker, runners, movers of all kinds using this transit way all year. I went to Drawing Club a couple of times last year so I had participated in Open Field. Over the past year we’ve done a couple ART SWAP events in different venues and when Open Field was going to happen again this year we thought it would be the perfect venue and perfect audience for an art exchange. Anyone who likes to make things of any age. From professional artists to budding artists. 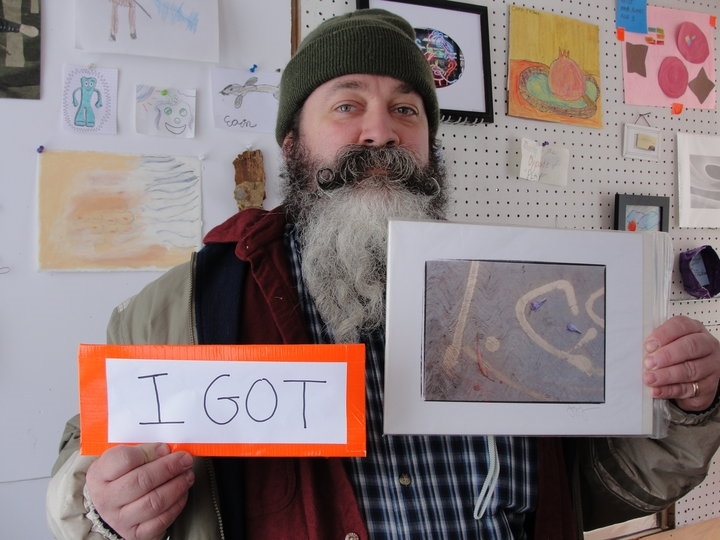 We’ve had glass blowers exchange their “castoffs” for children’s drawings. If you call it art, we call it art. We don’t mediate your swaps. It’s all about what you like, what you call art, and how you value art. We actually have a mascot! It’s a giant pom-pom. 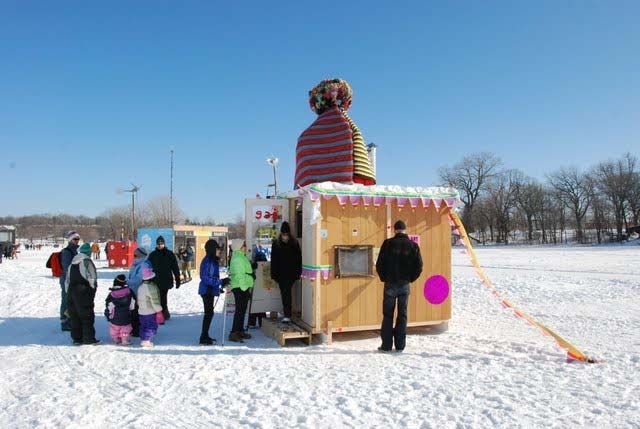 We started as an ice shanty with the Art Shanty Projects and atop our shanty sat a giant hat with a giant pom-pom on top. We made the big pom out of lots of tiny hand made poms at a pom-making party. It has made an appearance from time to time but it’s looking a little tired after getting caught in the rain a few times. We’ll see if we can revive it for the Open Field.